What is Nanotechnology? And how does it work? Nanotechnology – noun – Nanotechnology is the study, application, and manipulation of matter on an atomic, molecular, and supramolecular scale. How does this stuff work? And how can it be used in my home? 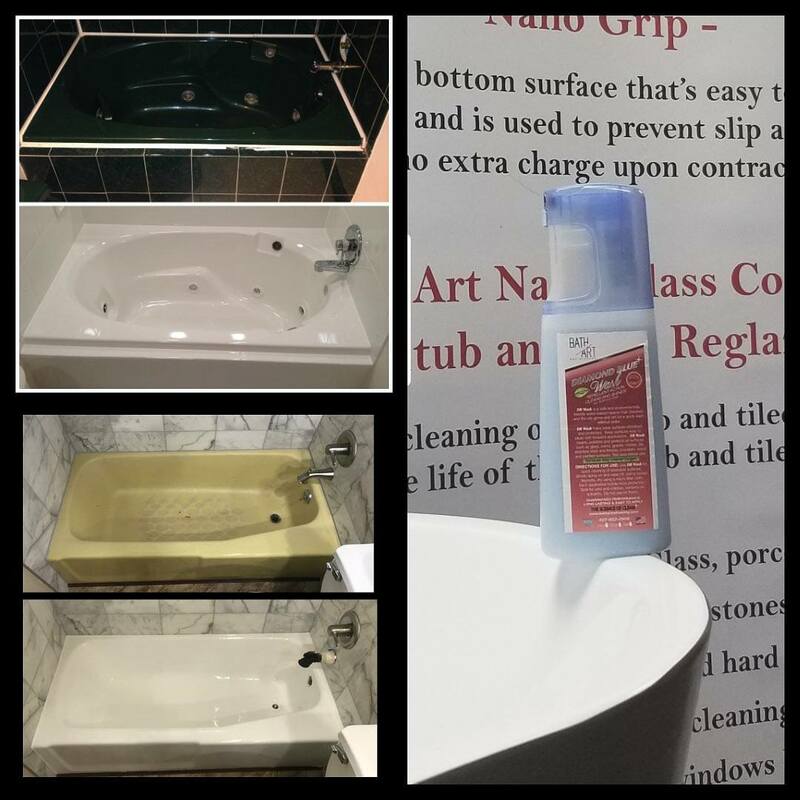 BathArt refinishing offers our exclusive Nano protective coating for bathroom and kitchen surfaces. This coating protects your investment and reduces cleaning by 70%. Yes, reduce cleaning and protect your and investment all at the same time. Our super hydrophobic coating keeps surfaces cleaner and free of humidity, mildew, water stains, mold, metal tarnish, and concrete efflorescence. Imagine a surface that is Antimicrobial for years… Imagine controlling bacteria with science, rather than by using expensive harsh chemicals… Our exclusive “BathArt Micron S” cleaning products and coatings not only protect and clean your surface, it will help keep you healthy and away from the doctor and loss of work. These products are great for kid’s bathrooms and living spaces, great for toilets, sinks and counter tops. The active hydrophobic and hydrophobic properties in our products not only keep surfaces dry, they self-clean and remain free of bacteria, viruses and contaminants. Our Nano coating systems have the capacity of filling and coating the surface on an atomic level. Meaning all microscopic porous and crevasses will be filled and coated, even on Glass!! Yes even glass. If the bacteria or virus can’t penetrate and reach the surface it can’t live! Reduce cleaning, time and cost, fewer man hours lost due to sickness and many more health benefits. Enjoy a long lasting surface protection that is easy to maintain and most importantly you will save time and money. Are you tired of cleaning your Bathroom and Kitchen? Are you tired of cleaning and maintaining those soap scum covered glass shower doors? Shower doors are supposed to be clean, clear and make a bathroom space larger and more appealing to the eyes. Let science and technology advancements do the dirty work! We have been awarded (2) patents for this ground breaking product. Let BathArt Refinishing take over your bathroom cleaning and sanitary needs. www.bathartrefinishing.com or contact us @ (407) 952-0958. A “Micrometer” is equal to 1,ooo nanometer (nm). Fun Fact – The Human Hair is 50,000 times larger than a Nanometer. The smallest bacteria is 0.3 (um). Meaning even the smallest bacteria CAN’T penetrate our coating. Our Nano coating system is measured at 10 (nm). Sealing deeply every pore, and protecting from bacteria and contaminants. Glass surfaces also have pores. Yes the smooth glass you see and touch in your bathroom and surrounding areas also have pores and discrepancies. Our nano system will not only restore glass it will protect and seal it for years to come. Simply put, Amazing! The glass surface pores are around 200 (nm). Our coating system will fill those pores and bond at the atomic level permanently!